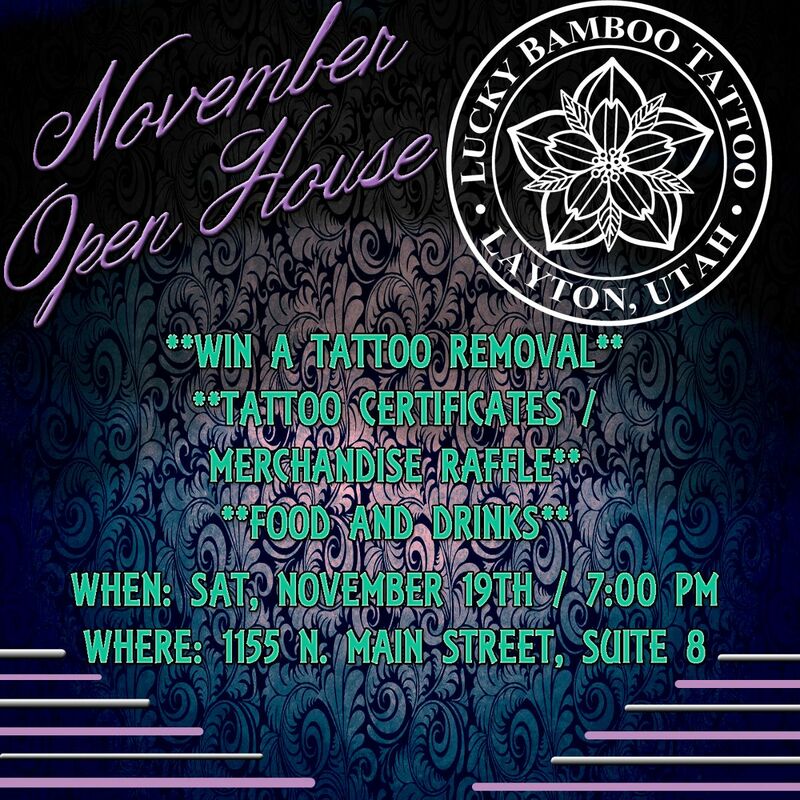 Join us for dinner and get lucky with Lucky Bamboo Tattoo! 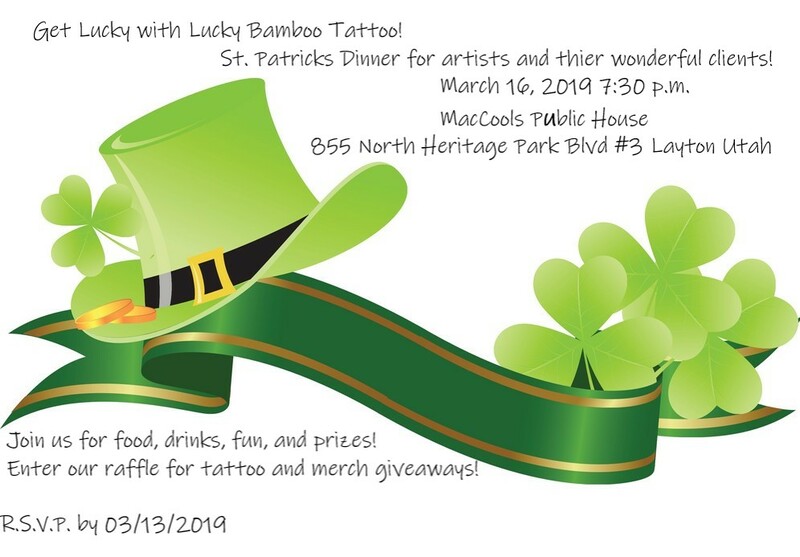 We are having dinner for our artists and our amazing clients on Saturday March 16th at 7:30 p.m. at MacCools Public house in Layton! We are having a raffle for gift certificates and prizes. RSVP to let us know your coming. 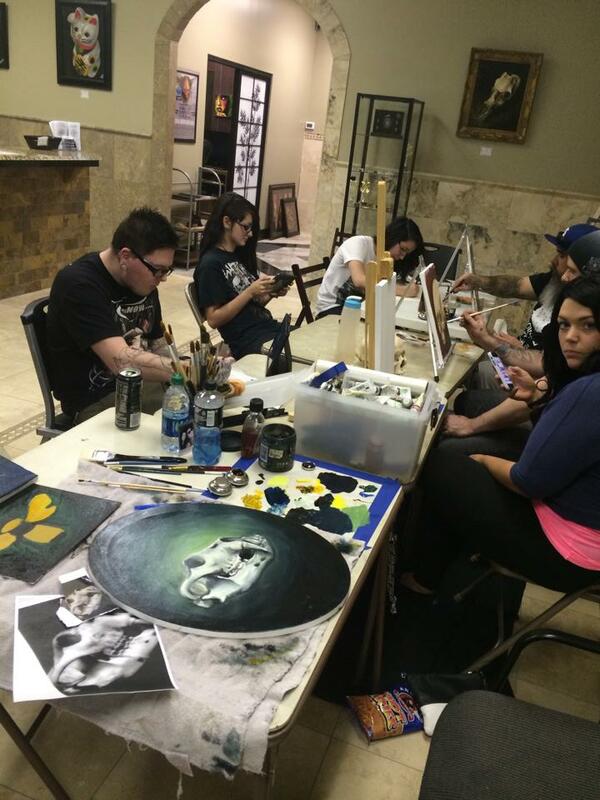 Saturday March 16th, 7:30 p.m.
Join us on Saturday, November 19th for our November Open House! 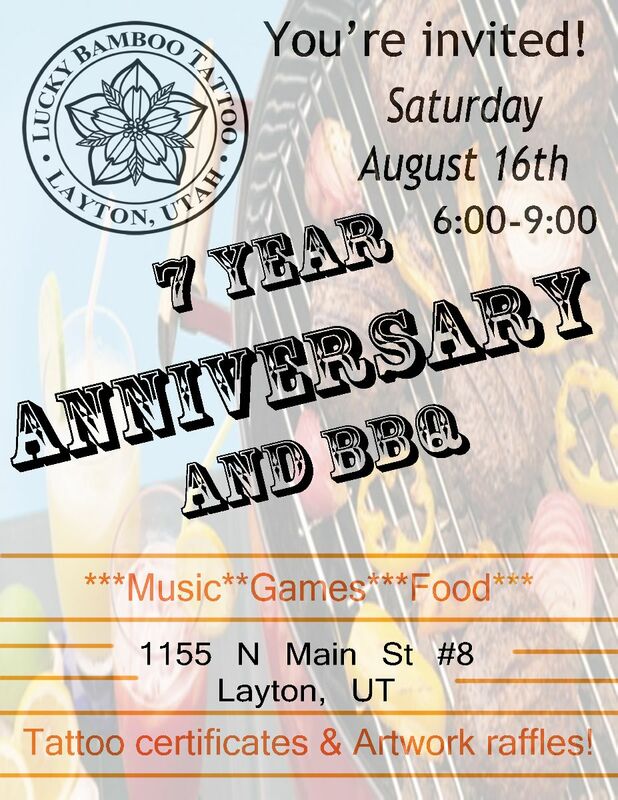 Come out to Layton Commons Park on July 8th, 2016 for the 2016 Davis County Block Party! This event is free admission, so come enjoy local vendors, food and drinks, car shows, raffles, live entertainment, music and more! Join us for our anniversary BBQ on Sat 8/16 from 6:00-9:00pm. We will have food, drinks, games, music, raffles, and lots of fun! St Patricks' Day Tattoos --- we will have several predrawn designs to choose from, ranging from $50-100. Pictures will be posted before the event. Go to our Facebook event page for more info. Predrawn Valentine's Day theme tattoos, $50-100. By walk-in only. Join our event on Facebook to view all of the designs. 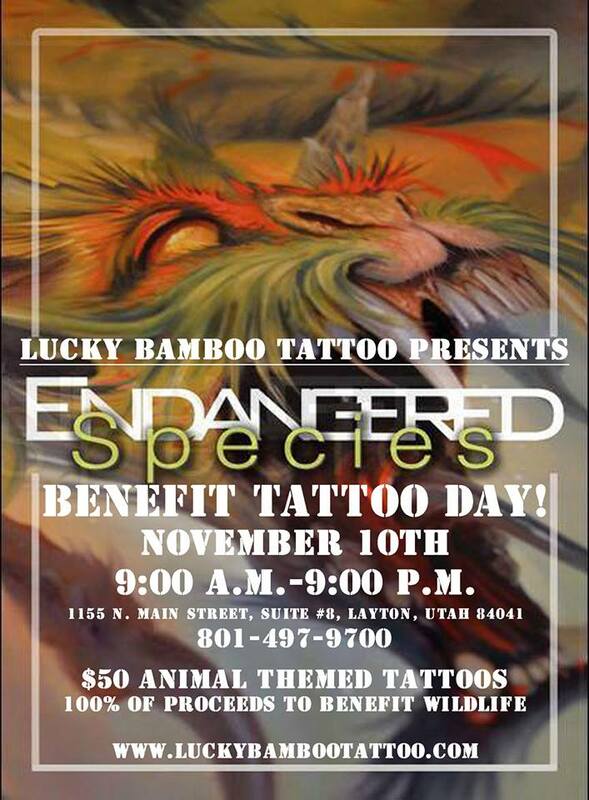 On November 10th Lucky Bamboo Tattoo, along with dozens of tattoo studios across the globe will be hosting “Animal Tattoos For Endangered Species". Similar to last years successful project “Food Tattoos for Hunger”, tattoo artists from around the world will be doing flash tattoos of animals. 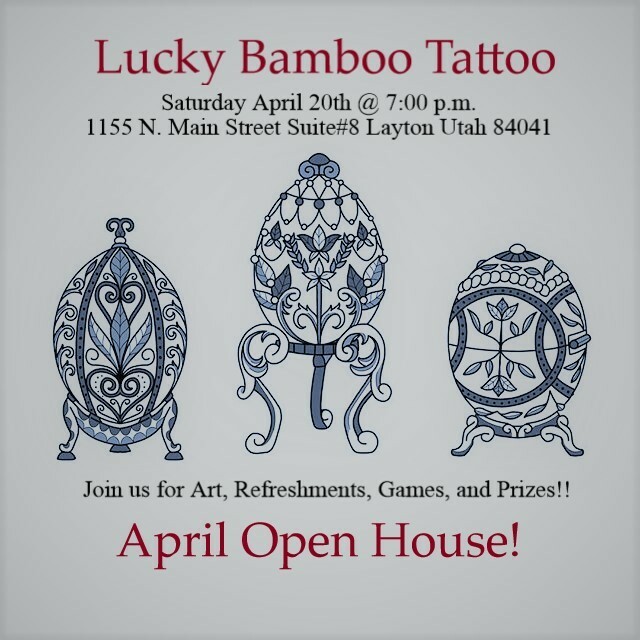 Each tattoo will take about 30 minutes at a cost of $50 each. Shops and individual artists will then be donating 100% of proceeds to charitable organizations. Hosting benefit events and raising money for good causes is not new to the tattoo industry and last year we proved that working together can increase our impact. We'll be modeling this event on last years successful campaign and together we look to generate more media attention and financial resources to donate to the benefit.